According to Andreas' History of Nebraska, Gosper County was named for this man -- "In 1873, . . . a petition was sent to Gov. Furnas, asking for power to organize. The Governor therefore issued a proclamation, according to which the county became organized, on the 29th day of August, 1873, and named Gosper in honor of John J. Gosper, then Secretary of State." 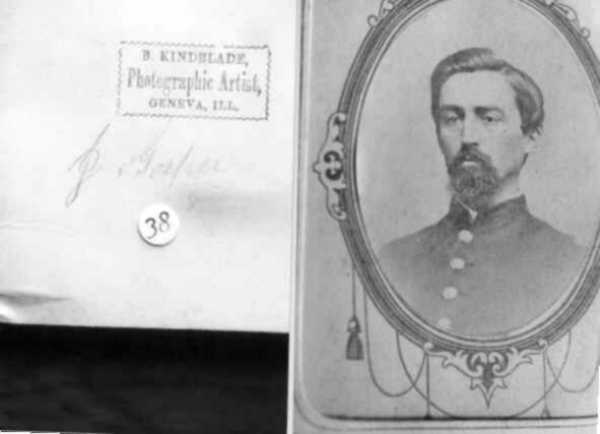 Laurinda Kidd, who donated the photograph says, "I have his pension records here at the house, and after he was Secretary of State, he left for Prescott, Az. where he divorced his first wife, and married another. 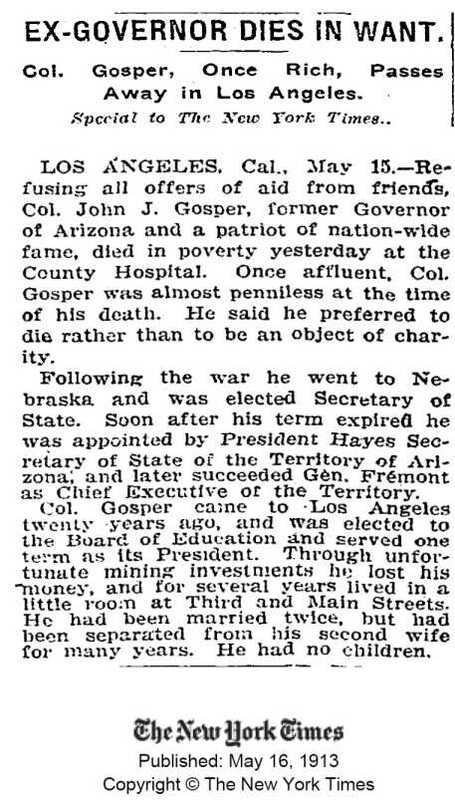 I feel he was in politics again, because after he died in Los Angeles, California his widow applied for her pension, and one of the witnesses was a banker who referred to him as 'Governor Gosper.' I have found the list of territorial governors for Arizona, and he was not listed as such. So maybe this was a nickname, or maybe he was another state official. "John was buried in Evergreen Cemetary, the oldest exsisting cemetary within the city limits of LA. He had no children. He dabbled in mining interests, because his wife wrote to the U. S. Pension Office on stationary headed with 'J.J. Gosper, Mining and Real Estate.' Sad to say, he died in poverty, and the Governor of Arizona sent his widow $200 for burial expenses!"